Jacqueline Andrews hopes her boyfriend Brad’s surprise is an engagement ring for her twenty-sixth birthday. Her best friend, Tyler Jordan, wants Jacqueline to be happy but not with Brad. Tyler regrets blowing off Jacqueline’s confession of love for him before he left for college. When he returns to their small town as a physician’s assistant, he falls in love with her. He needs to win her love back. Will his hot kisses sway her? Or is she going to marry Brad? Two years ago, TV New York producer Whitney Benson returned to her roots in Ohio after her husband’s death in Iraq. Her older sisters, Shannon and Regan, think Whitney needs to move on with her life. They want her to be like them—happily married with children. Whitney is tired of her older sisters' attempts to fix her up with every single male they meet. Shannon and Regan cross the line when they arrange for her to go skydiving with the reason that more guys like to float in the air than women. Whitney hates flying and heights. She realizes her sisters are busy with matchmaking to keep their minds off their mother’s recent death from cancer. She decides to suggest the three of them start a business and hopes that will take the focus off their constant matchmaking efforts. The sisters have fun considering several businesses from a cable TV talk show to an all-girl band. Whitney does wonder if her sisters can treat her as an equal in their new family business instead of their baby sister. Whitney meets two eligible bachelors, paramedic Jack Hensley and Dr. Ben Spencer, who constantly battle for her affection. Which one will she choose? Both men make Whitney realize, even a heart shattered by her husband's death, can once again be made whole. But did she have to fall and hit her head on a rock to figure that out? "I loved the relationship between the sisters, the teasing and the support. Ms. Craver did an awesome job with the hero(es) in the story. Love the love triangle aspect, though it was a toss up as to which guy to root for! 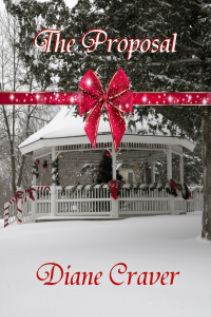 Lovely romance with a bit of humor and lots of tugging at the heartstrings. Can't wait to start my next Diane Craver book!" Although this book is considered women's fiction, I decided to put NEVER THE SAME here because it is a contemporary and has three romances in it! They walk away from the wreckage of an airplane, but their hearts and lives will never be the same. A plane crash. Two women, strangers to each other, on the edge of dire decisions. And the changes survival makes in their lives—this is the heart of NEVER THE SAME. Kim, a wife and mother, refuses to settle any more when it comes to love and marriage. Surviving the plane crash has cleared the fog in her head and the frustration in her life. Tori has garnered a coveted soccer scholarship but her dreams are turning to dust—she’s discovered she’s pregnant. Before the crash her choice seemed obvious, but now, caught between her family values and her baby’s daddy, Tori’s decision isn’t a “no-brainer” any more. Life isn't always fair, but Kim and Tori have the chance of a lifetime...what will they do? What would you do? "This is yet another story in which Ms. Craver shows us her talent for writing a compelling story that grabs hold of her readers and takes them on a journey. It's hard not to get so emotionally involved with her characters. This was a story that made me take a step back and reassess my own goals and priorities in life because just as Ms. Craver's characters, life can throw you a curve ball and could change your life forever. It is stories like these that make you realize that it's wise to stop and smell the roses no matter how busy your life may be." Rating: Blue Ribbon 4.5! 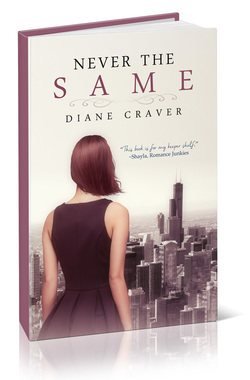 Ms. Craver’s NEVER THE SAME is a heartfelt story about two families whose lives will intertwine for the rest of time. I loved the realistic characters and I constantly felt as if I were right in the room with them watching everything as it evolved. It was wonderful to read a story about something that could actually take place; a tale that, with its believability, could draw me in so deeply. This book is for my keeper shelf. Thank you, Diane Craver.